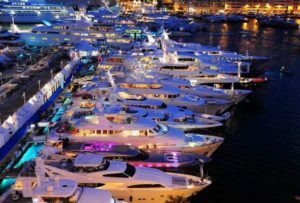 20 brands associated with Nautica Italiana are attending and presenting their latest product innovations the 58th edition of the Fort Lauderdale International Boat Show, taking place from November 1st to 5th. According to data provided by NMMA, the American nautical market is the first in the world and is expected to grow at 6% in volume. Lamberto Tacoli, Nautica Italiana’s President, stated: “Medium-sized and large yachts, high-end inflatable boats, elite sailboats and high-quality accessories, are the sectors in which the Italian Style is a leader in the USA nautical market, which confirms the role that our nautical industry plays overseas. Considering only inboard units, the growth in the USA market in July 2017 has been increasing of 10.3% if compared to the same time of 2016. It is indeed in larger yachts, ranging more than 80 feet, that the Made in Italy achieves levels of excellence”. According to evidences provided by the Market Monitor created by Deloitte for Nautica Italiana and Altagamma, presented at the 2017 Monaco Yacht Show, in 2016 Italy, with last year’s yacht production evaluated 2 billion euro, confirmed to be the largest yacht-builder country in Europe and the second larger in the world right after the USA, to which it exports 20% of its production of boats and accessories. Moreover, the Market Monitor confirms the Italian world leadership in the sector of large yachts, with a share portfolio of the contracts signed in 2017 marking 49%. Eleven boat-building brands of the Made in Italy belonging to the Azimut Benetti Group, Baglietto, Ferretti, Group, Perini Navi, are attending the 2017 Fort Lauderdale International Boat Show. Azimut Yachts is bringing a fleet of 18 models, among which the new S7 for her North American debut, while Benetti is displaying the American avant-première of the 38-metre motor yacht Skyler, the third unit of the Benetti Fast 125’ range, together with the 35-metre Mediterraneo 116’ motor yacht OLI. Baglietto confirms its engagement in Fort Lauderdale, where the new project Sestante, a 70-metre superyacht of the T-line Baglietto, was born in collaboration with the international studio Mulder Design, and where the Group has opened a permanent headquarter at The Quay. Ferretti Group showcases 18 models ranging from 10 to 28 metres, presenting two American debuts: the new flybridge Ferretti Yachts 780 and the 76’ Bahamas, the second convertible yacht by Riva. Perini Navi brings along its new product range, 42-to-72-metre sailboats and 50-to-92-metre motor yachts. Seven Italian brands for accessories and components for the nautical industry will showcase their latest innovations in terms of technology, functionality and efficiency, representing the best of the Made in Italy: Guidi Marine, Italwinch, Mase Generators, Naval Tecno Sud, Opacmare, Veco. 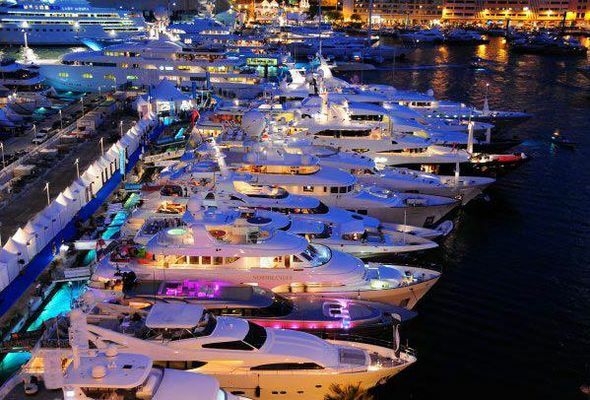 All Services, Furuno and Telemar are the brands associated with Nautica Italiana which bring at FLIBS their new services dedicated to the nautical sector.